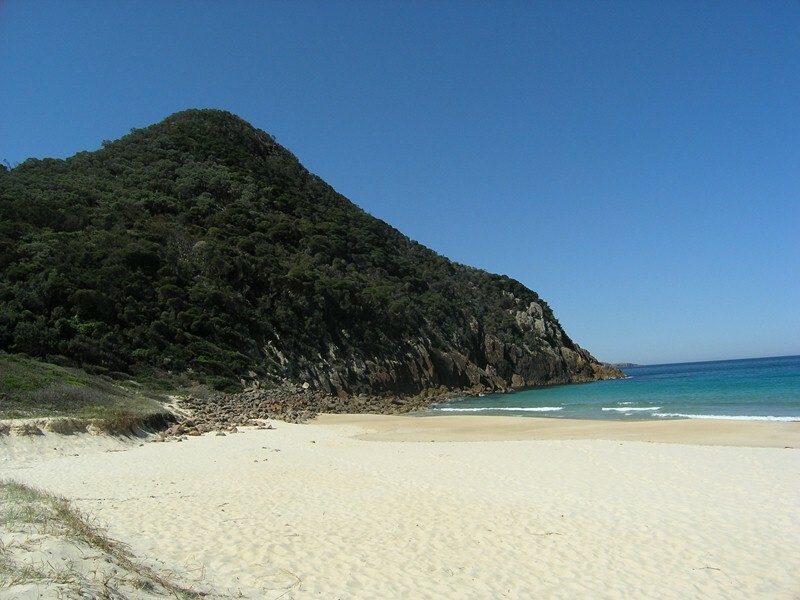 Zenith Beach is a dive for the suicidally inclined diver and is a difficult and dangerous site for entries and exits. It is a long and difficult walk from the parking area to the divesite at the northern end of the beach. The steeply shelving exposed beach here is subject to dumping swells and rips and diving should only be attempted in the calmest of conditions when the forecast indicates that swells will not pick up during the dive. As you head out from the beach the bottom consists of shallow kelp encrusted rocks intermingled with urchin barrens. It is a very long swim to get out into deeper water. Some of the rocks are quite large having fallen from the cliffs above and they shelter the usual array of coastal fish and invertebrates.